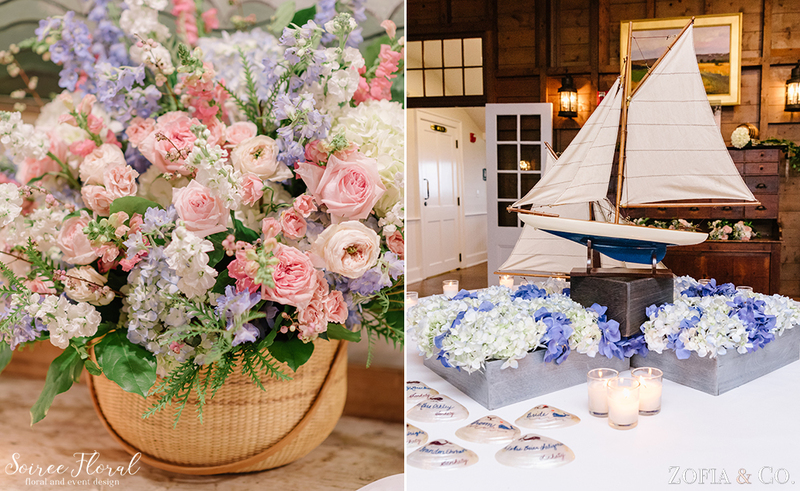 Soft and subdued September wedding on Nantucket Island with Zofia & Co. 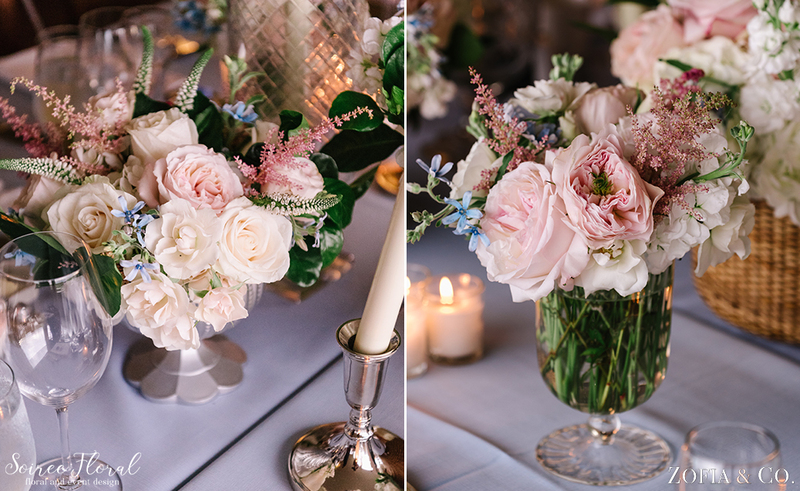 Photography, and Soiree Floral in shades of white, blush and light blue at Sankaty Golf Club. 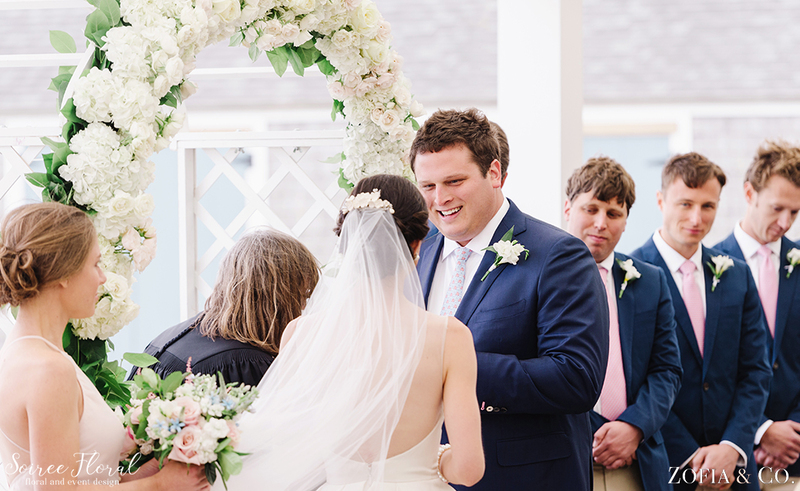 September on Nantucket can be a little unpredictable, but that didn’t put a damper on Alaina and Brian’s Sankaty Golf Club wedding. 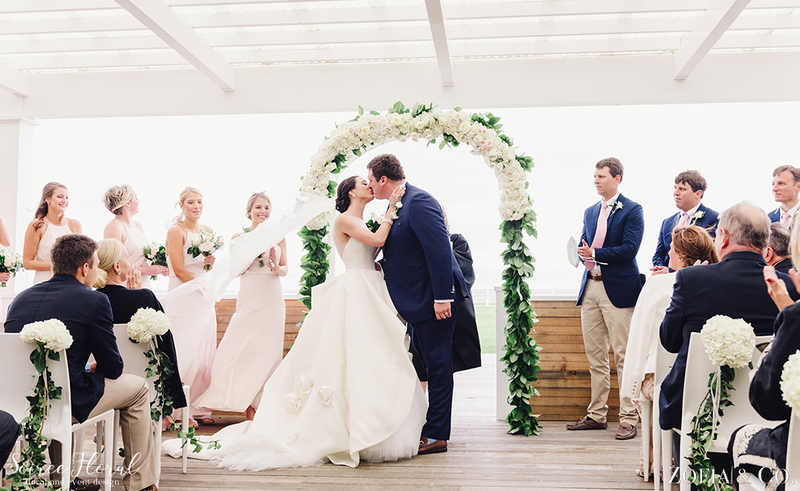 The couple said “I do” on a blustery day, underneath the pergola of Sankaty Beach Club. 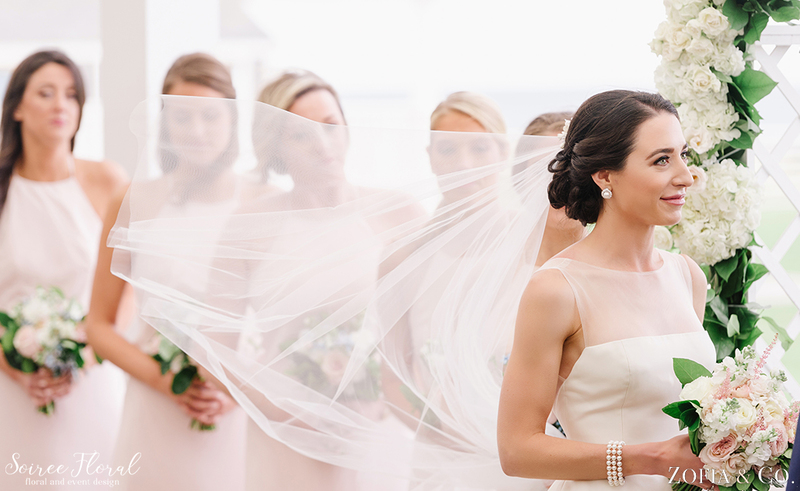 Jimmy Jaskic, their planner, made sure their outdoor ceremony went off without a hitch. 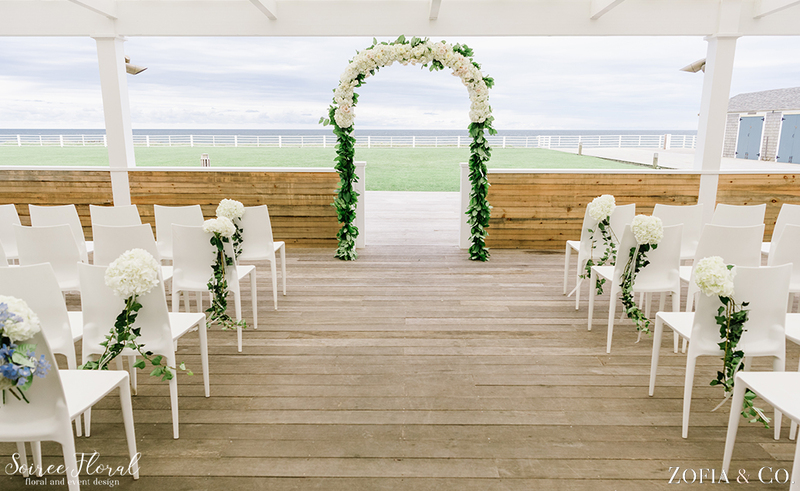 The floral covered arch and blue and classic hydrangea aisle makers were picture-perfect with the ocean in the background. 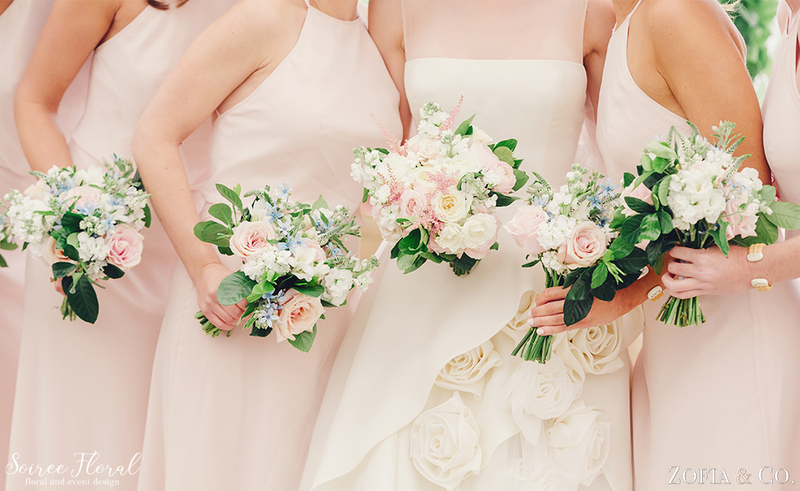 Alaina and her maids carried bouquets in soft, subdued shades of pink, white, blue and green – perfect complements to their dresses, especially hers – a Monique Lhuillier show stopper! 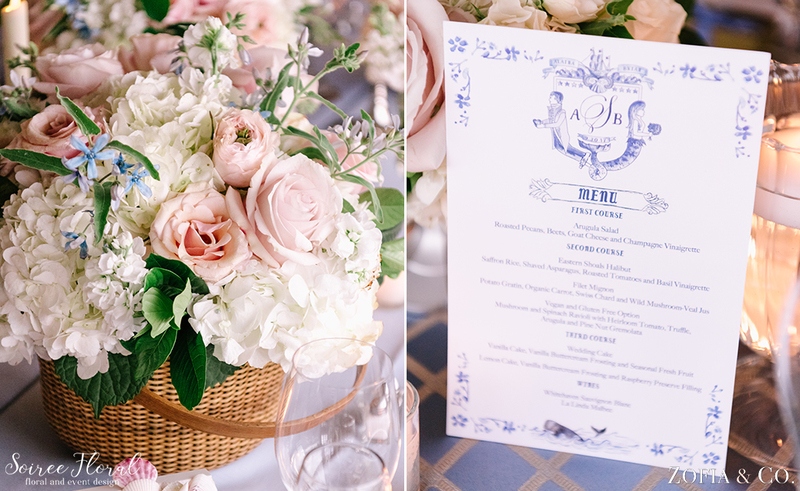 After the ceremony, the couple and their guests ventured to the Golf Club and were greeted with a glowing room of candlelight with tables topped with a mix of blue linens by BBJ Linen and centerpieces full of garden roses, astilbe, tweedia and veronica. 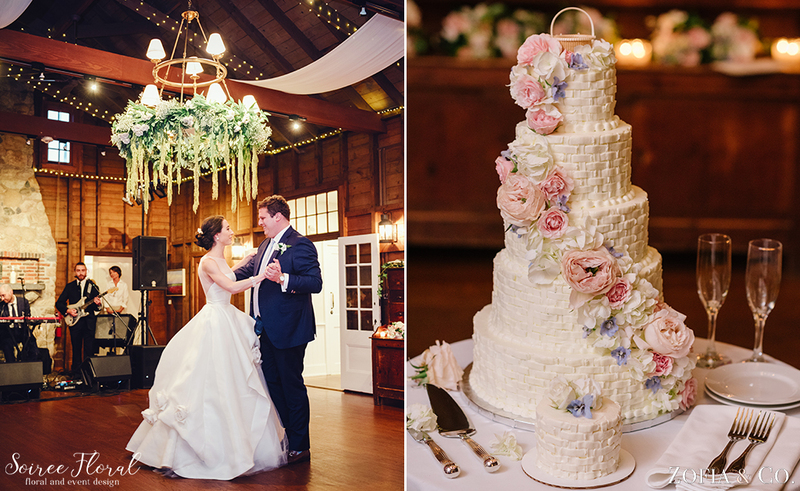 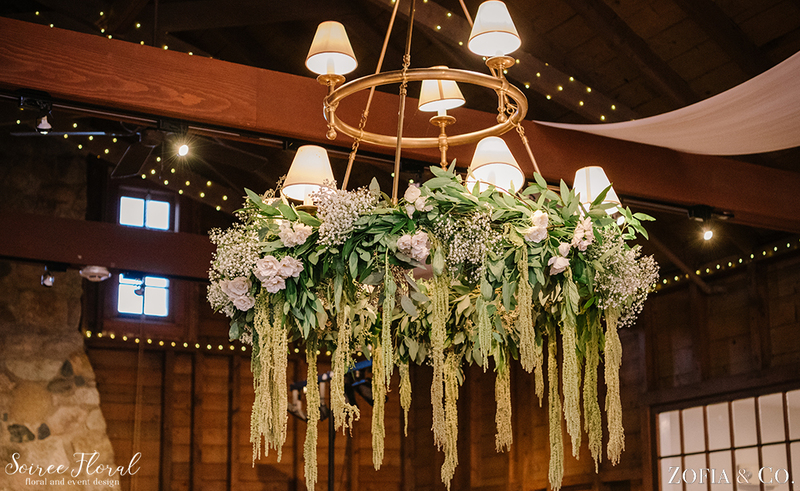 The chandelier, covered in greenery and florals provided the perfect adornment for cake cutting and dancing the night away. 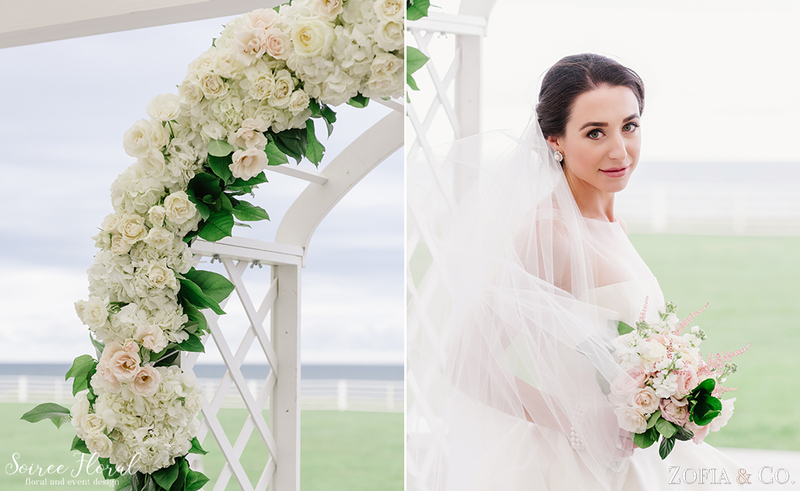 You can see more from their Sankaty Golf Club wedding on Zofia’s Blog.